INTRA GROUP provides machinery for fiber cement board production in Hyderabad. we are fitted for the customer’s specific products as well as capacity requirements. Fiber cement board are composed of cement, silica sand and wood pulp. Fiber cement board provides various advantages over other materials like wood siding. They are weatherproof, fire and also insect resistant, flexible, highly workable and also durable. Fiber cement board manufacturing process makes uses of technologies which is known as autoclave technology. In autoclave technology, polymer based composites are manufactured and exported by applying intense heat and pressure in order to eliminate moisture from fibre cement materials. With good quality products , high efficiency service, and also with moderate prices, our products satisfies many customers all over world and also enjoy good reputation. 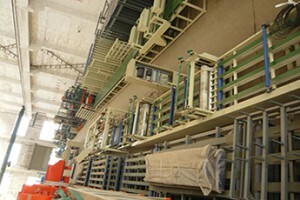 We are happy to offer technological services for customers and also to attract new customers from worldwide.Our Machinery for fiber cement board production are cost-effective,Manufactured in High quality products and exported to customers.We manufacture Cost-Effective Plant to Produce Fiber Cement Boards to customer all over world.